Ellipsometry is a technique utilizing polarization state changes after light beam reacts with probing samples. Not like reflectometer, spectroscopic ellipsometer parameters (Psi and Del) are always obtained at non normal incident angles. By varying incident angle. many more data sets can be obtained which wiil be helpful in refining model, reducing uncertainty and improving user's confidence on model's output. Therefore, variable angle ellipsometer is far more powerful than fixed angle ellipsometer systems. There are two ways to change incident angles, manually or automatically. 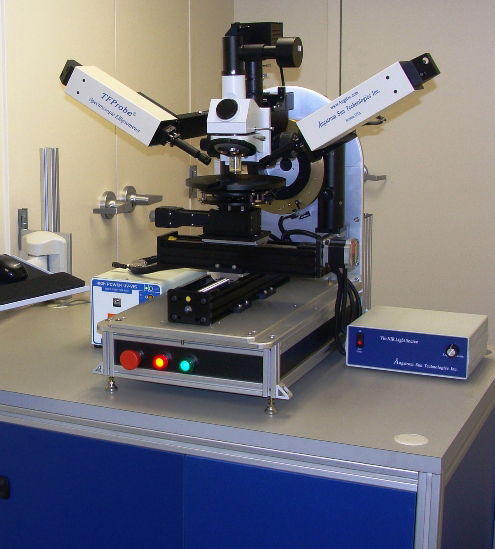 Ansgtrom Sun technologies Inc designed both angle adjustment models, manually adjusting agnle by moving arms at 5 degree interval following precisely preset slots(manual goniometer, SExxxBM, low cost version), and motorized precision goniometer with 0.01 degree resolution(SExxxBA). In addition, goniometers are engineeringed at vertical layout so samples could be placed horizontally, which is safer when handling samples. With reliable and enough raw data sets, many film properties, like film thickness, its optical constants, interface, porosity and even composition can be obtained through modeling. 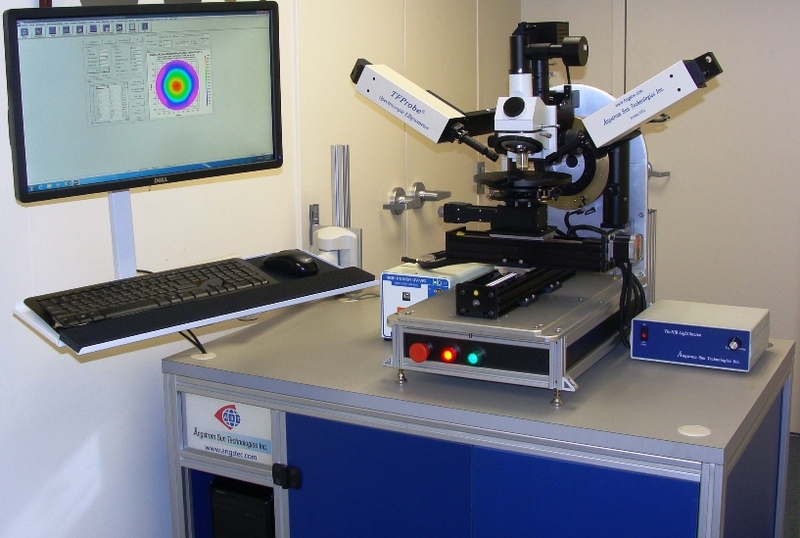 In this sense, advanced software is a must for high performance spectroscopic ellipsometer (SE) tools. We developed TFProbe 3.X version software for system setup. simulation, measurement, analysis, data management and 2D/3D graphics presentation. It is all-in-one. ● Advanced TFProbe 3.3.X Software allows user to use either NK table, dispersion or effective media approximation (EMA) for each individual film. ● Various options, accessories available for special configurations such as mapping stage, wavelength extension, focus spot etc. ● Optical coatings, TiO2, SiO2, Ta2O5…..
● TFProbe is registered trademark of Angstrom Sun Technologies Inc.